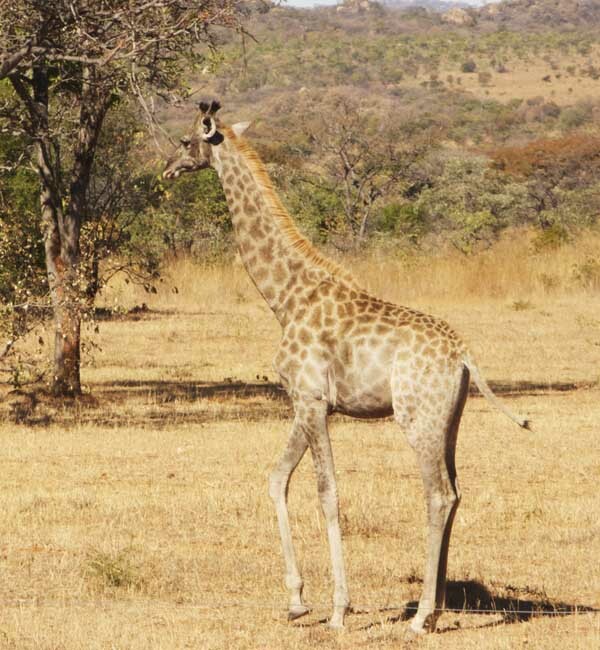 This female giraffe, Thembi, was nine months old at the beginning of last year’s drought, just weaned, but unable to reach far enough up the trees to the leaves that sustain the adults when the rest have been eaten by other browsers. Her mother needed to travel constantly in search of food, but Thembi didn’t always have the strength to keep up. 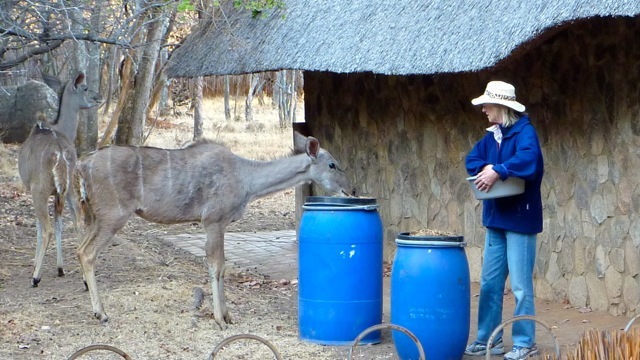 Sometimes she would appear, with a slow and unsteady walk, for a brief meal at the raised drums in front of the house, but more often than not, we would find her lying alone in the veld. By November, we had lost sight of her altogether and were sure that she had met the same fate as the other seven giraffe that had died that year. But the name "Thembi" comes from “hope” in Sindebele, and the little giraffe had never given up. Somehow, she managed to stagger into summer and though still not as strong as she should be, if she keeps coming in for food, she has a good chance of surviving until the next rains. the trust of completely wild animals.